Summer is well underway and contrary to popular belief and Instagram models, many of us have yet to reach our "summer time fine" body goals. With many products on the market that promise quick results in a matter of days with little to no effort, we continue to buy into the idea that less is more even when our health is on the line. Summer is well underway and contrary to popular belief and Instagram models, many of us have yet to reach our “summer time fine” body goals. With many products on the market that promise quick results in a matter of days with little to no effort, we continue to buy into the idea that less is more even when our health is on the line. Throughout my years of trial and error when it comes to fitness, I find it extremely difficult to stick to a routine that agrees with my body 100% of the time. For me, losing weight, toning and getting healthy has been a revolving door of both successes, failures, and plateau standstills. However, this is no longer the case. My decision to get active came at a time where I was transitioning from a high-end job that I received during undergrad. Work hours were long, client portfolios became stressful and my inability to keep away from the breakroom snacks began to show after every picture I would take. To sum things up, I was overworked, underappreciated, and towing the thin line between thick and fat. Five months later weighing fifty-three pounds lighter, I couldn’t be happier! But how exactly did I do it? 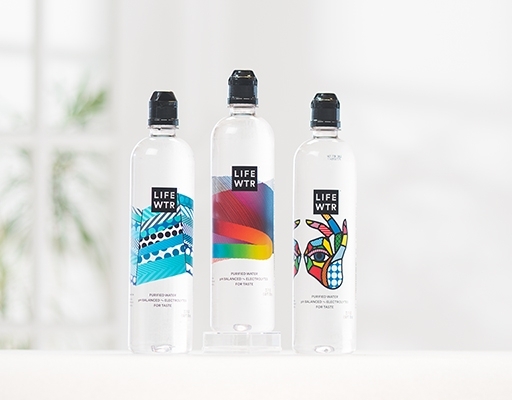 Dieters have been drinking lots of water as a weight loss strategy for years. While water doesn’t have any magical effect on weight loss, substituting it for higher calorie beverages can certainly help. For those of you who hate the taste of water, try infusing your drink with lemon, lime, and cucumbers. This cool blend will help quench your thirst while cutting down calorie intake. I am an avid doer of morning workouts and this has been a key element into my daily routines. Exercising early in the morning offers numerous benefits, both to your health and to your daily schedule, that exercising at other times of the day just can’t provide. To get the greatest post-workout metabolic kick, do cardio activities like high-intensity interval training or bodybuilding-type resistance training with multi-joint exercises. Sticking to something simple like morning runs or rope workouts will do the trick just as effectively if bodybuilding is not your forte. Unfiltered apple cider vinegar (ACV) is a liver and lymphatic tonic which can help detox your body. It helps balance your body’s pH and stimulates cardiovascular stimulation, bowel motility, and lymphatic drainage. For this reason, it’s one of my key formulas when maintaining weight loss. Although there’s not much of a difference in ACV brands, the one that I am currently using is “White House Apple Cider Vinegar”. Retailed at $4.48 a bottle, you can find this product at any grocery store or online. I encountered the wonderful world of detox teas during my first of many attempts at losing the freshman fifteen during my college days. Being as though I enjoy drinking tea regularly, this is another simple way for me to incorporate yet another healthy regimen into my “fit life” journey. Similar to ACV, I use detox teas to get rid of the extra bloat after any heavy meal that I may have indulged in during the week. 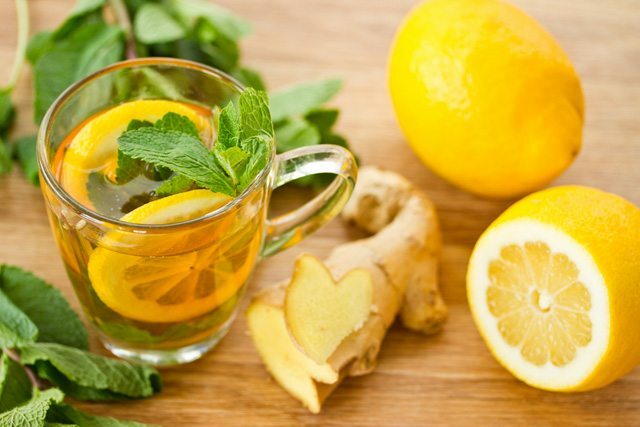 Herbs like lemongrass, ginger, dandelion, and milk thistle all contain properties said to support a healthy liver, which is one of the organs in charge of your natural detoxifying process. One of my favorite teas of all time has to be “Green Tea with Lemon and Honey Ginseng by Benner”. Combined with a nice bowl of fruit and a cup of yogurt, green tea is the way to go if you are new to the detox scene. For someone who played both competitive and active sports all throughout high school, I know what it takes to build muscle, get lean, and work parts of your body like never before, I just haven’t done it consistently. With the help of technology and my iPhone, the app store is my go to place when trying to find new workouts that I can do on the go! Sworkit among others has to be my all time favorite app trainers to use. This flexible platform is tailored to your fitness goals and by signing up for their 7-day free trail you can begin to see the benefits for yourself. This wouldn’t be a proper lifestyle blog if it didn’t include cutting out at least one unhealthy meal/snack. I am not an advocate on dieting and starvation, but I am a huge fan of getting healthy and cutting out the excess fat all year round! One tip that I found extremely helpful when trying to cut calories was swapping out one meal in exchange for a hearty, colorful salad. A recent study from the National Cancer Institute suggests that people whose diets are rich in fruits and vegetables may have a lower risk of developing cancers of the head and neck. Foods found to be particularly protective include beans and peas, string beans, peppers, tomatoes, carrots, apples, nectarines, peaches, plums, pears, and strawberries. Here are a few recipes that you can try at home. Enjoy! For those who think eating healthy is way too expensive, think again. 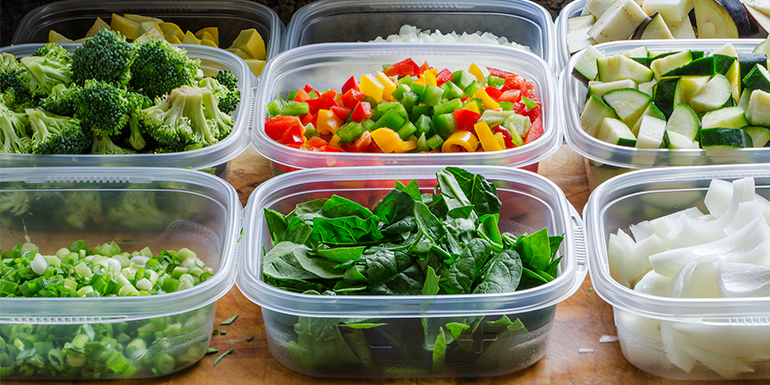 Meal prepping will save you money because you can buy items in bulk and take advantage of your freezer. When you set aside time to prep your food, think big in terms of veggies and new foods that you’d like to try. I enjoy meal prepping because it gives me the chance to stop and listen to my body after a hectic week. Every Sunday I set aside two hours to cook a variety of meals that I may have a craving for. Whether that be homemade soups or a week’s worth of southern-style entrees, the tip here comes by practicing portion control and spicing up your healthy taste buds. If your unsure of where to start when it comes to meal prepping, begin by purchasing plastic containers in an array of sizes. This will give you the room to play with when creating meals for the week. After that, shop around for healthier alternatives to your favorite meals. My kryptonite just so happens to be fried chicken wings. Instead, I go for baked wings with a sauteed vinegarette for flavoring, along with chickpeas, brown rice, and a kale salad. Yummy! Keep in mind that each of these tips listed above may vary from person to person. Depending on health factors and preconditioned diagnosis, consult a health care physician before starting any new fitness routine. For more content, photos, and related topics follow me on Twitter and Instagram or subscribe to my blog below!